Hello and welcome to my blog with the lovely ladies from Art With Heart Colour Creations Blog Hop. Today is week 41 and we are playing along with Pumpkin Pie which is one of the Regals Collection Colours. When I think of Pumpkin Pie I see the colours of Autumn. Which is the season we are in now for Australia and it's such a beautiful time of year. In saying that I decided to use the cute squirrel stamp from Fable Friends which is in the Occasions Catalogue 2019. The squirrel has been stamped with Stazon Jet Black Ink on Shimmery White Cardstock. I used an Aqua Painter and coloured in the squirrel with Pumpkin Pie, Cajun Craze, Blueberry Bushell and Granny Apple Green. For the background I used Shimmery White Cardstock and sponged some Pumpkin Pie Ink onto the Cardstock. Once I was happy with the effect I spritzed water using the Stampin' Spritzer and let it dry. Once dried I splattered black ink using the Stampin' Write Marker in Basic Black. To do this effect you use the brush end of your marker with the inside of the lid and flick the Ink onto your Cardstock. I love to create with this look. To finish off the card I used for the card base Very Vanilla Cardstock and then a piece of Pumpkin Pie Cardstock. I used Basic Black Cardstock and die cut out using the 2nd largest circle from the Stitched Shapes Framelits. To tie in with the card I used Basic Black Solid Baker's Twine. Thank you for visiting my blog and now it's time to visit Catherine Proctor's blog and the other Art With Heart Team's creations. Vicki this is the nicest card I've seen with the squirrel from Fable Friends, he is so very cute! Thank you for hopping along tonight! Thank you Cathy. He is very cute and I enjoyed this colour challenge. Very Nice Vicki, great colour combo. Great card Vicki. I am always in awe of crafters who can colour an image so well. Beautiful as always Vicki. You always inspire me to get more creative. Thank you Tania. I enjoy trying to use different types of mediums. I adore your sponged and flicked background, it's stunning, and that little squirrel is super cute. Thank you Kate. I had fun creating with the background. You've done a great job colouring in that sweet squirrel Vicki - he is such a cutie! Thank you for visiting my blog Caroline, I love all the animals in this set. oh, my! That squirrel is tooo cute! Your colouring is fabulous, and the background is pretty amazing too. Thank you Tina, I'm very happy with how the card turned out. I'm an Independent Stampin' Up! Demonstrator from Australia. I love to create with paper craft using different types of Stampin' Up! products. 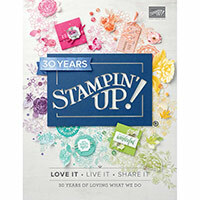 If you live in Australia and would like to purchase Stampin' Up! products I would be happy to assist you. I also do Children's and Adult's Card Classes. Please don't hesitate to contact me.